Tulsa, Oklahoma – Oklahoma-based Manhattan Construction Company, a privately-held construction services company founded 1896, announces recent promotions to its Oklahoma leadership team. Kyle Nelson has been promoted to vice president of the Oklahoma City-area office and Ryan Haynie has been elevated to Tulsa-area operations manager. Haynie will oversee field operations with his counterpart Kevin McKay, Oklahoma City-area vice president of operations. The team is led by Larry Rooney, senior vice president of the Oklahoma region. 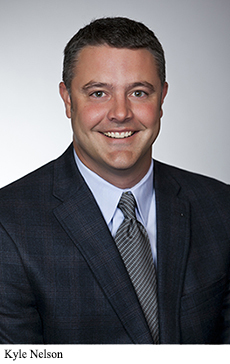 Prior to his promotion, Kyle Nelson served as project director and led the historically significant Oklahoma State Capitol Interior Restoration project in Oklahoma City. During his 17-year career at Manhattan, Nelson has built enduring, positive relationships with clients and the community. He served on the Oklahoma History Center project team, and worked on projects for the University of Oklahoma, Oklahoma City University and Oklahoma State University. In 2014, he was recognized by ENR Texas & Louisiana as a “Top 20 under 40 Honoree” for which candidates were selected from a five-state region, including Oklahoma. 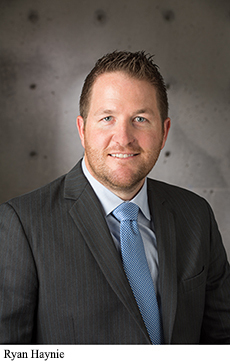 In 2012, Nelson was honored by OKC Biz magazine as a “40 Under 40 Honoree.” He holds a Bachelor of Science in Construction Science from the University of Oklahoma in Norman. Ryan Haynie previously served as project director at Manhattan. Most recently, he led the construction of Muscogee Creek Nation’s River Spirit Casino Phase II in Tulsa, Oklahoma. During his 17-year career with Manhattan in Tulsa, he led field operations for the construction of the BOK Center, ONEOK Field and Guthrie Green Park projects. In 2013, Haynie was recognized as a 40 under 40 honoree by Oklahoma Magazine and the Tulsa Business Journal. He is an American Institute of Contractors Certified Professional Contractor and a U.S. Green Building Council LEED Accredited Professional (AP). Haynie is earned a Bachelor of Science in Construction Management from Oklahoma State University. You are currently browsing the Manhattan Construction Group blog archives for June, 2017.